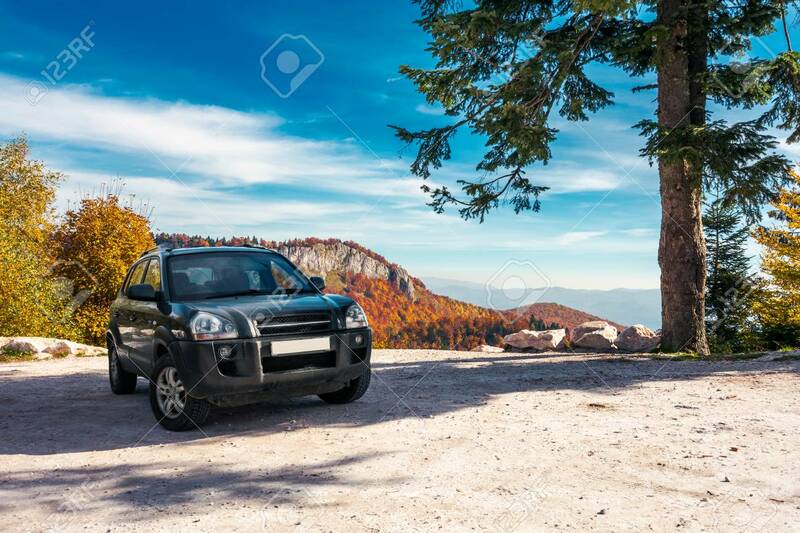 SUV On The Parking Lot In Mountains. Beautiful Mountainous Scenery.. Stock Photo, Picture And Royalty Free Image. Image 108412427.